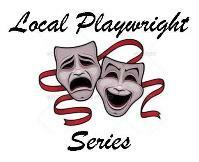 Please join us for our Local Playwright Series. We will present shows from our three of our favorite local playwrights for your enjoyment. You will have the opportunity to discuss the script with the playwright and cast after the reading. The playwrights will be answering your questions and seeking your feedback as well. The readings are free of charge and general admission will begin at 7PM with the readings to begin at 7:30PM. Seating is first come-first serve. We look forward to seeing you there!